See more objects with the tag circles, arches, communication, radios, rectangular, listeners, propaganda, bakelite, dials, listening. 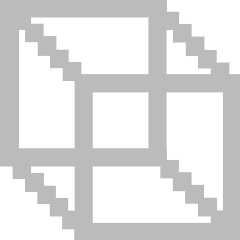 See more objects with the color darkslategrey grey black darkolivegreen dimgrey or see all the colors for this object. This is a Radio. It is dated ca. 1933 and we acquired it in 1986. Its medium is molded bakelite, textile (speaker cover). It is a part of the Product Design and Decorative Arts department. In his final speech at the Nuremberg trials, Albert Speer, Nazi Minister of Armaments and War Production, described how under Adolf Hitler’s dictatorship the use of "technical devices like the radio and the loudspeaker, 80 million people were deprived of independent thought. It was thereby possible to subject them to the will of one man." These Volksempfängers, or "people’s receivers," are material evidence of Hitler’s technological manipulation. 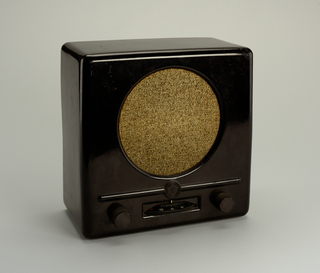 Developed at the request of Propaganda Minister Joseph Goebbels and designed to be cheaply produced, these basic, Bakelite-encased receivers made radio technology available to the general public. 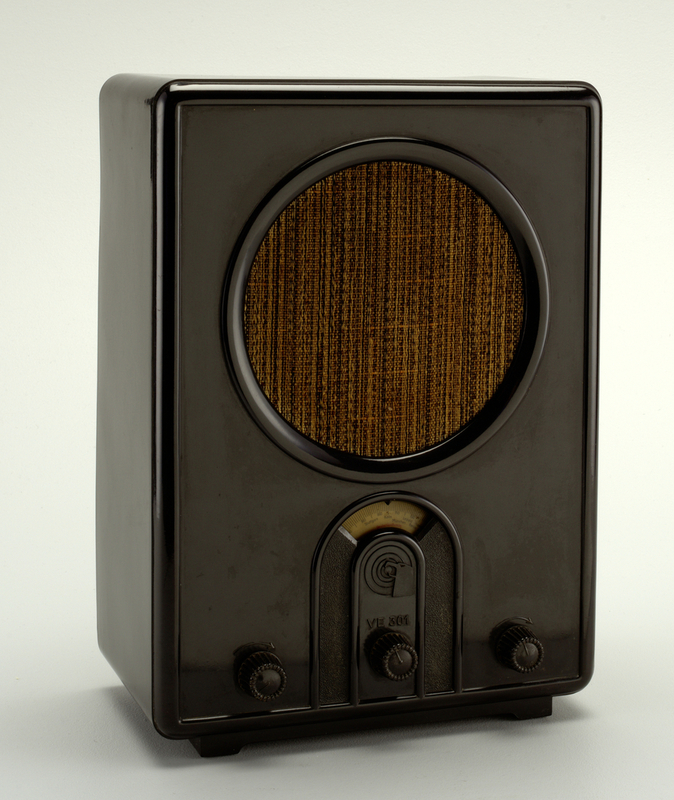 With tuners indicating only those German and Austrian stations that broadcasted Nazi propaganda, these devices played a central role in Hitler’s regime. However, clever listeners could tune in to Allied wavelengths using external antennae, a bold act considering it was a criminal offense punishable by fines, deportation to concentration camps, or even capital punishment. These radios thus encapsulate the dual nature and powerful potential of communication in modern times. Though intended as vehicles for Nazi propaganda, the Volksempfänger was transformed by brave citizens into tools for resistance. 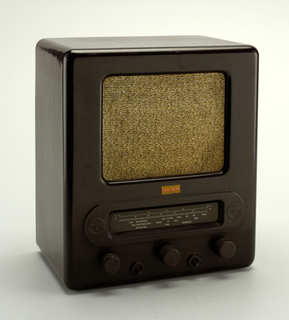 This object was featured in our Object of the Day series in a post titled The People’s Receiver. This object was donated by Patricia Pastor. It is credited Gift of Barry Friedman and Patricia Pastor. 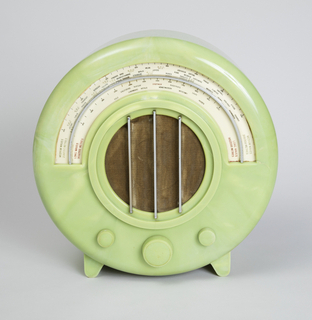 molded bakelite, textile (speaker cover). Overall: 23.8 x 24.3 x 12 cm (9 3/8 x 9 9/16 x 4 3/4 in.). compression-molded bakelite, chromium-plated metal, woven textile. 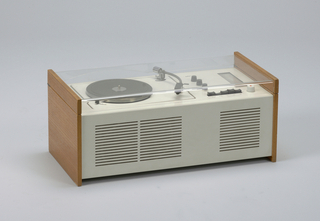 This object was previously on display as a part of the exhibition	The World of Radio.